Do You Need a Personal Injury Lawyer When You’re Injured? I’m Ed Smith, a Sacramento personal injury lawyer. 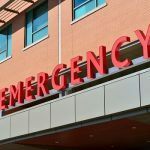 A personal injury can result from a car or pedestrian accident, defective product, and dog bites among others. Collecting the compensation you deserve can often be a challenging task, particularly when you are injured. In this case, retaining a personal injury lawyer can make an enormous difference. Aside from removing the burden of dealing with insurers and lawyers for the defense, the injury lawyer will investigate your case and provide options for recovering damages. Let’s look at what an attorney experienced in personal injury can do for you. 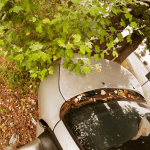 How Can a Car Accident Lawyer Help After a Collision? Accumulating evidence: Gathering together all the evidence in a case is a tedious but necessary part of the attorney’s approach to an accident. Besides police reports and witness accounts, it may be possible to locate video recordings of a crash and find additional witnesses if the accident happened in a commercial location. Also, the video may have captured the collision, showing in real time how the accident occurred. This is invaluable information in a case. Meeting deadlines: Ensuring that your case is filed before the statute of limitations expires is essential. In California, the statute of limitations is two years from the date of an accident. If the lawsuit is not filed by that time, the case will probably remain unheard. The statute of limitations for claims against a government entity are much shorter, so talking to an experienced lawyer quickly is essential. Utilizing witness accounts: Utilizing expert witnesses and crash reconstruction experts can make a difference in a case’s outcome. Expert witnesses can testify how a negligent driver or entity could have avoided the accident by acting responsibly or provide information about the plaintiff’s injuries and how they will affect the person’s life. Crash reconstructionists are used to map out how an accident happened, including the positions of the vehicles when they collided. This is done through examination of the damage to the cars and road. Oftentimes, computer-generated images are used to show a jury the accident in detail. Negotiating a settlement: Negotiating a settlement on your behalf with an insurance company to ensure that you get the compensation you deserve and need is bolstered by the efforts of a personal injury lawyer. Negotiations are where each side proposes to settle an accident for a specific amount. Generally, the insurers will offer to pay much less in the beginning. A skillful personal injury lawyer will negotiate with them to reach a fair and just amount. Using arbitration or mediation: These methods are useful as a way to reach a consensus on a fair settlement. Preparing a case for court: Sometimes, negotiations are unsatisfactory. The defendants refuse to offer an adequate amount, and despite ongoing discourse, a settlement cannot be reached. 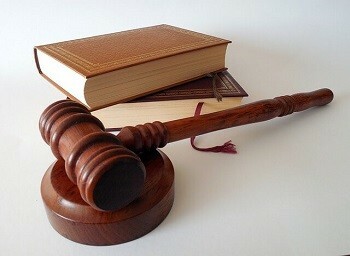 In this case, the personal injury lawyer will prepare to take the case to court. Preparations are done to better ensure a favorable outcome. Choose a lawyer that you feel comfortable with. Some people base this level of comfort on the attorney’s ability to communicate with them. Others are more likely to choose someone who handles the case without much communication. Most people fall in the middle. 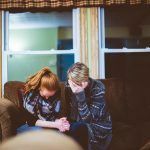 Generally, clients like to be appraised of the case on a routine basis and have the ability to talk to their lawyer when they have questions. Some attorneys focus primarily on personal injury cases. While this is not necessary, it is desirable if your case is an injury case. It is a good idea to find out how long an attorney has handled personal injury cases. Looking at the reviews of an attorney’s former clients and his or her peers provide is a good way to learn about the lawyer’s practice. There are multiple sites that provide this information, including Yelp. Look specifically at whether or not complaints were leveled at a lawyer’s lack of interaction with their clients. If this is a common complaint, determine if this is something that would be a game ender for you. If so, look for another lawyer. Your first meeting with a lawyer can tell a great deal about whether or not this is the attorney for you. Ask questions and see if the answers are understandable by a layperson. Using too much legal verbiage without explanation can be uncomfortable for many. Be clear about what you will be charged and when. Most personal injury lawyers work on a contingency basis. This means you are not charged a thing unless you win. Find out what the attorney’s percentage will be. I’m Ed Smith, a Sacramento personal injury lawyer. An experienced injury lawyer can make an enormous difference in the outcome of your case. Contact me at (916) 921-6400 in the Sacramento area or (800) 404-5400 nationwide. You can contact me online too by filling out our contact us page. Whether you have questions or want to set up a free case review, we are here for you. I’ll always give you free and friendly advice. 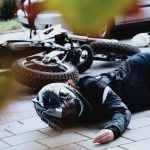 I’ve helped many residents of Sacramento and those in the wider Northern California area to obtain the compensation they deserve in all types of accidents as well as pedestrian, motorcycle, bicycle and wrongful death claims. As their personal injury lawyer, I’ve worked hard to make sure their rights were protected. I am proud to say that I have been granted membership in the National Association of Distinguished Counsel. This organization only grants membership to the top one percent of lawyers who have exhibited the highest standard of legal practice. If you would like to find out about me and my practice, click on the following pages to see client and peer reviews as well as the way I handled previous cases. I am also a member of the Million Dollar Advocates. We are a forum of trial lawyers nationwide who have won more than $1 million for a client.